What a bunch of scrap...: May Life Inspire You! 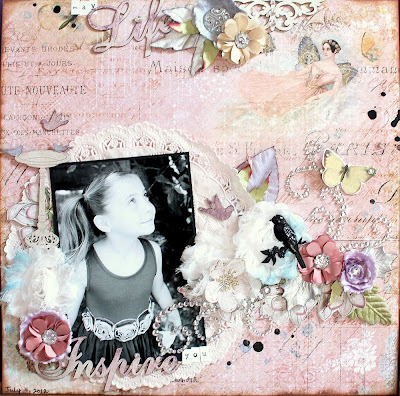 Yay, playing around with more gorgeous Prima "Fairy Belle"! Tons of Scrapmatts laser cut chipboard embellies here, as well as lots of Flourish With a Bling - bling flourishes and silk flowers!